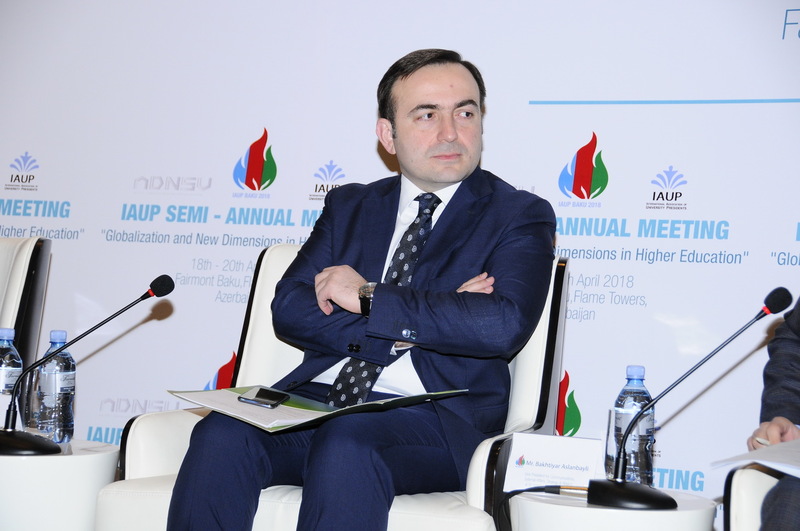 The two-day Conference of the International Association of University Presidents (IAUP) titled “Globalization and New Dimensions in Higher Education” hosted by Azerbaijan State Oil and Industry University (ASOIU) continued with panel discussions on April 20. 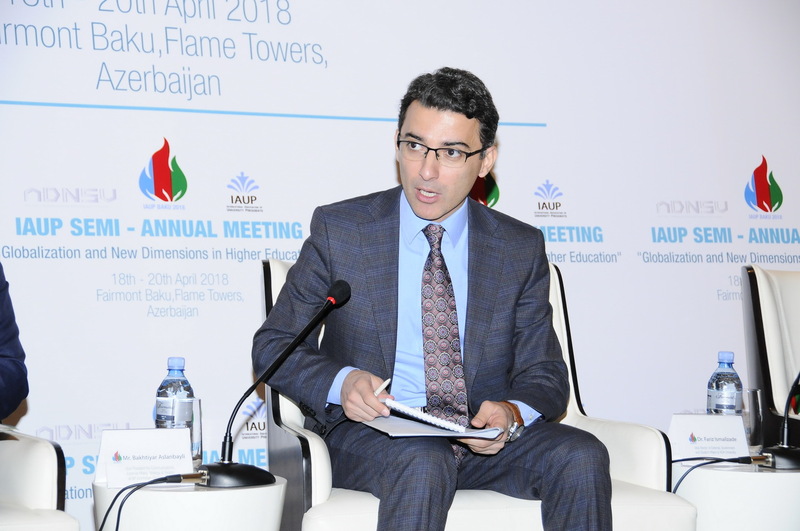 Addressing the first panel on “Social Responsibility and Knowledge Transfer: University - Business Cooperation” moderated by Vice Rector of ADA University Dr. Fariz Ismailzade, Vice President for Communications, External Affairs, Strategy & Region at BP Azerbaijan Bakhtiyar Aslanbayli provided the participants with comprehensive information on BP and its contribution to local universities. 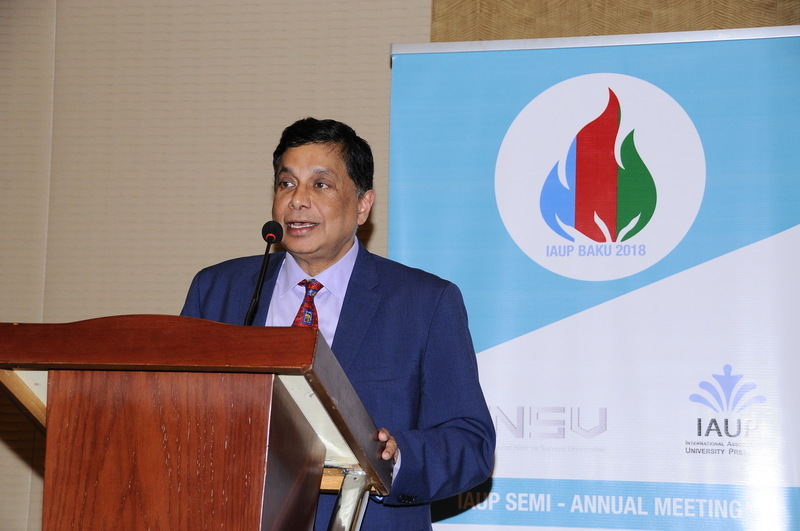 Stressing the intensive development of science and technology, Vice President said the education system should create widespread opportunities so that students do not stop after their undergraduate education and continue to improve themselves. 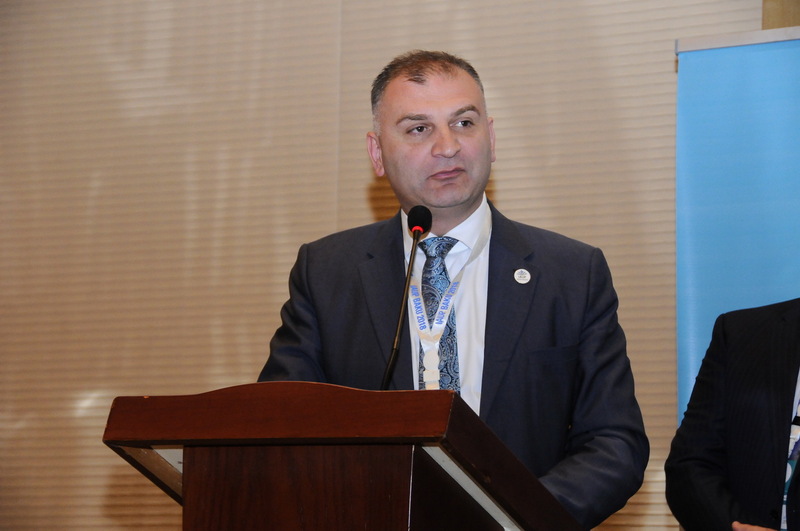 Elchin Babayev, Executive Director of the Science Development Foundation under the President of the Republic of Azerbaijan, said the Foundation is open to all kinds of new ideas that can contribute to science. 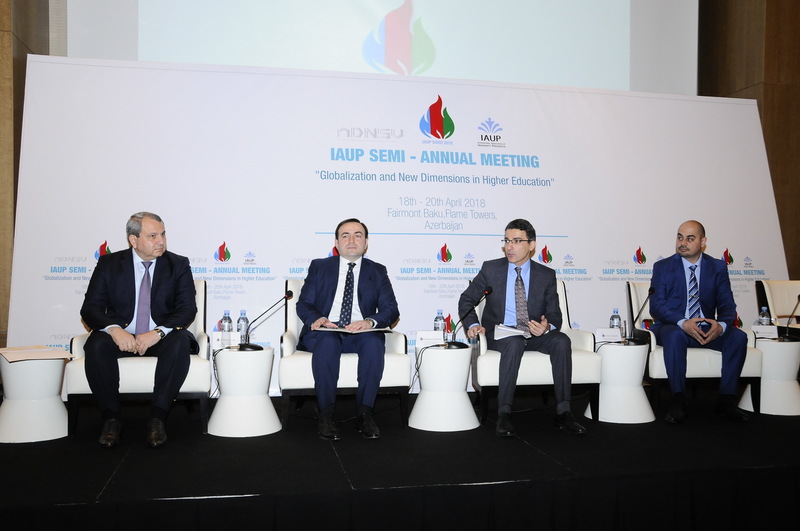 Speaking of the importance of the exchange of expertize, Elchin Babayev emphasized that we should use the experiences of universities such as Stanford University and METU as an example and apply to our universities. 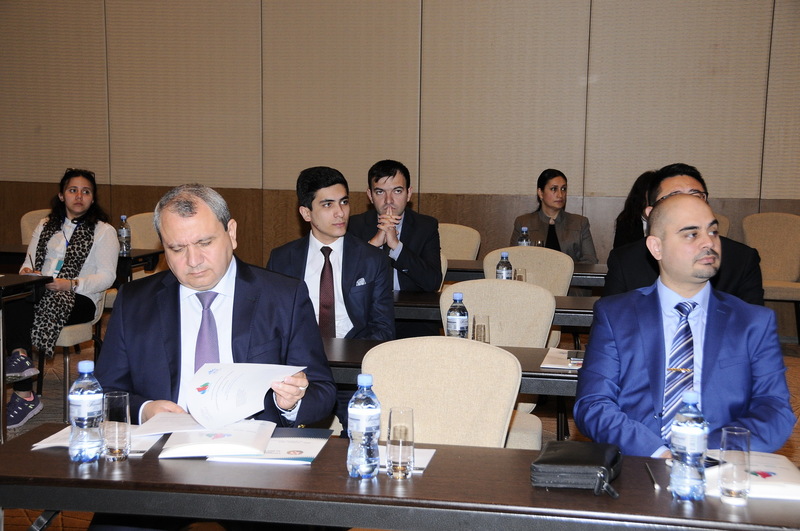 Gachay Mirzayev from Microsoft Azerbaijan said the company supports modern knowledge, transfer of technology to Azerbaijan and the study of talented and creative young people abroad. 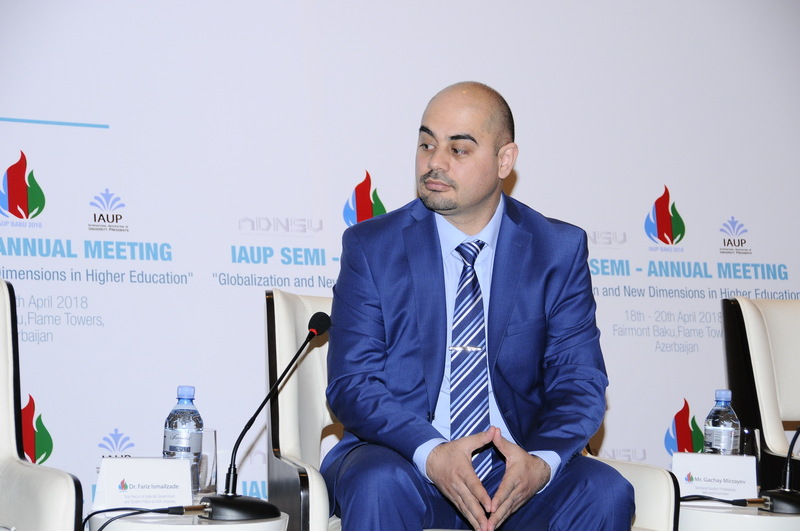 Addressing the next panel discussion on “Equality in Higher education: more opportunities less possibilities” moderated by Executive Director of Junior Achievement Azerbaijan Dr. Sevinj Amirova-Mammadova, Deputy Director at the UN Department of Public Information’s Outreach Division Ramu Damodaran talked about the roles and achievements of women in education. 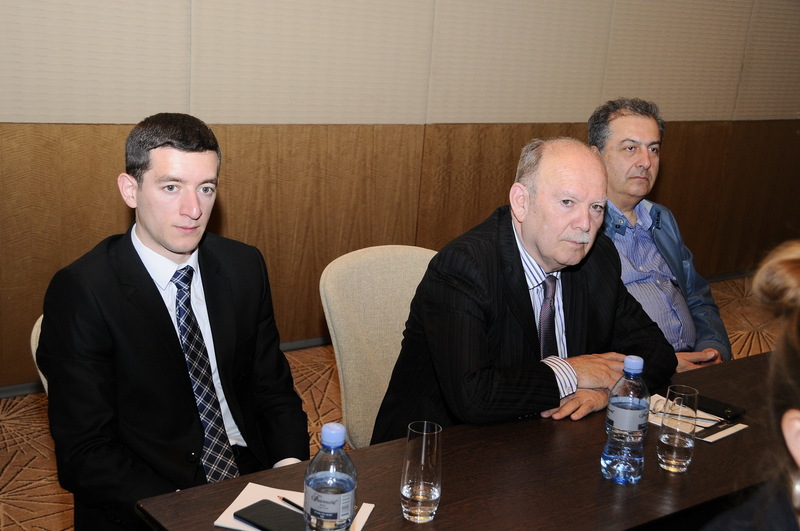 Anar Naghiyev, Director of the Development of Higher Education Department at the Institute of Education of the Republic of Azerbaijan, provided widespread information on the changes and unique novelties in the education system of Azerbaijan after the Soviet period. 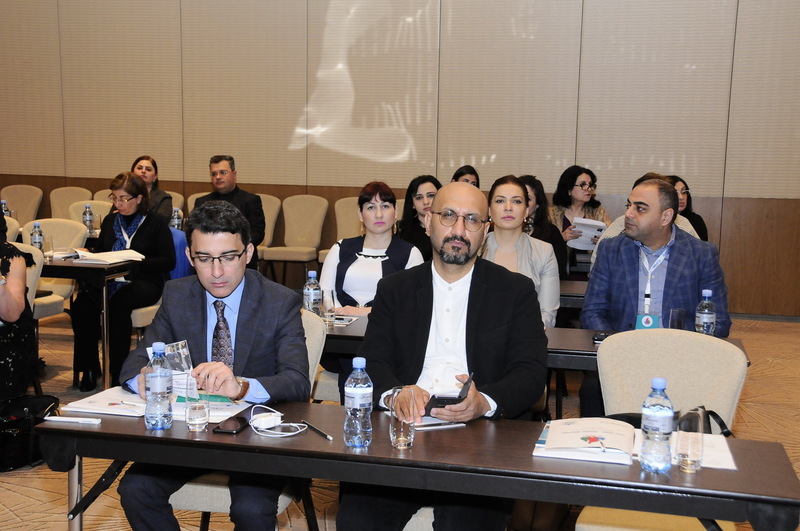 “Azerbaijani education, that has undergone a great development path, should now think of international achievements”, said Anar Naghiyev, adding that there are also skilled researchers in the country. 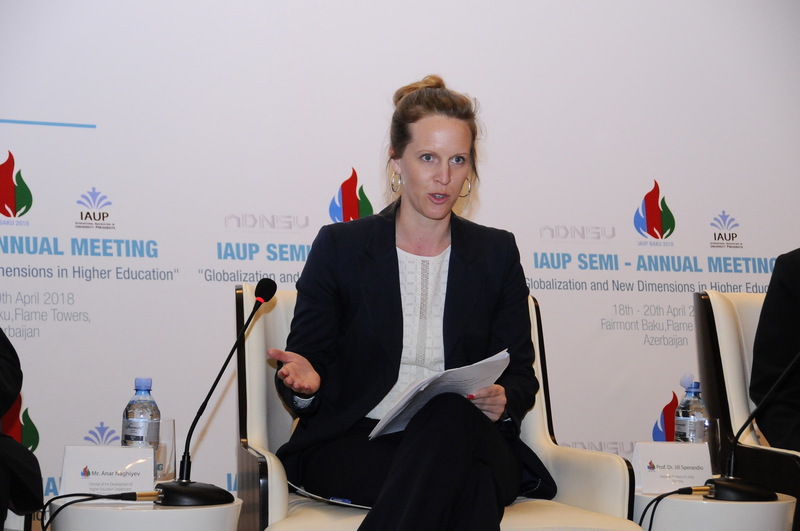 Stefanie Dufaux, Head of DAAD (German Academic Exchange Service) Baku Information Center, spoke about DAAD exchange program, stressing that the goal is to provide students with high-quality study and research opportunities in Germany. 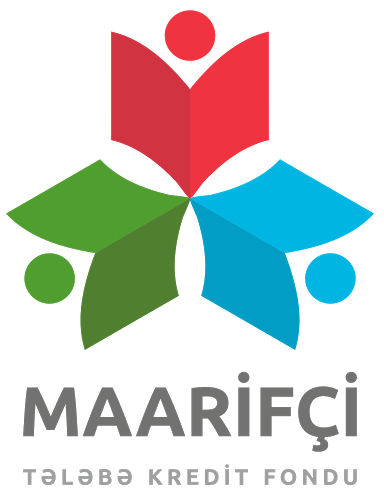 Prof. Dr. Jill Sperandio, Associate Professor at Lehigh University (Pennsylvania, USA), said such dialogues play a great role in the development of science and are crucial for attaining positive results. 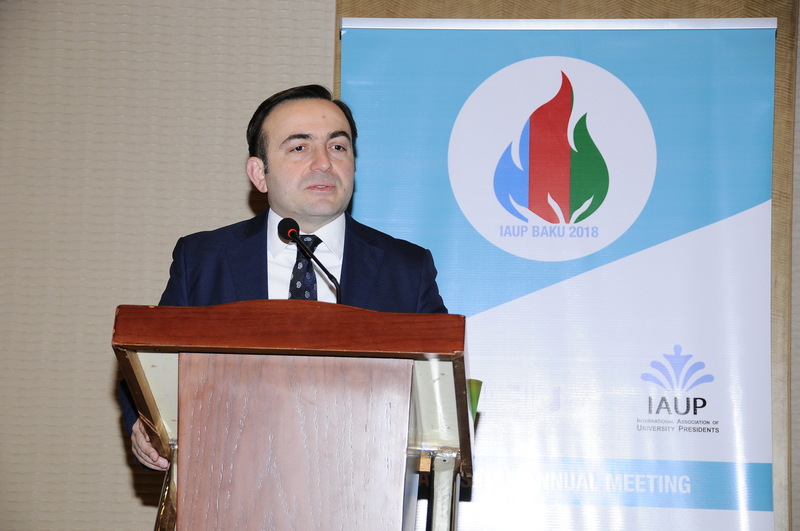 Delivering a speech in the end, IAUP President Kakha Shengelia expressed his gratitude to ASOIU Rector, Professor Mustafa Babanli and the organizational team. 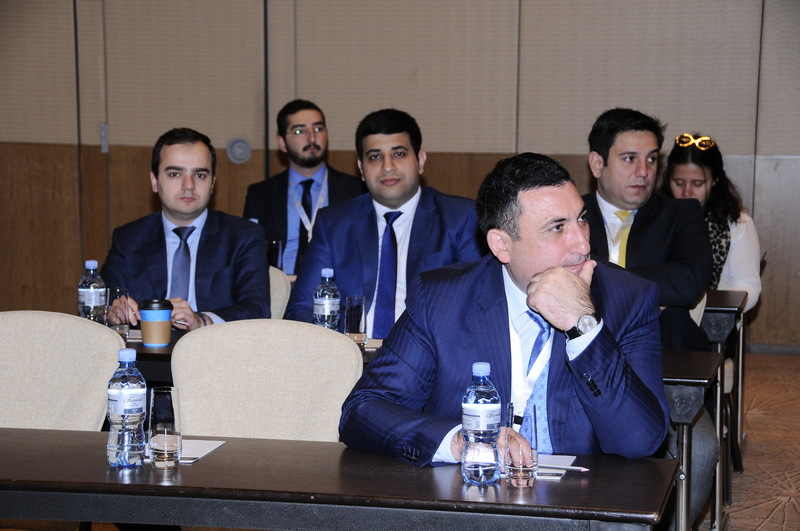 Notably, the Conference was attended by up to 60 rectors and other esteemed guests from some 20 countries, including Azerbaijan, Russia, the USA, Iran, Georgia, India, Poland, China, France, Mexico, Austria, Denmark, Ukraine and other countries. 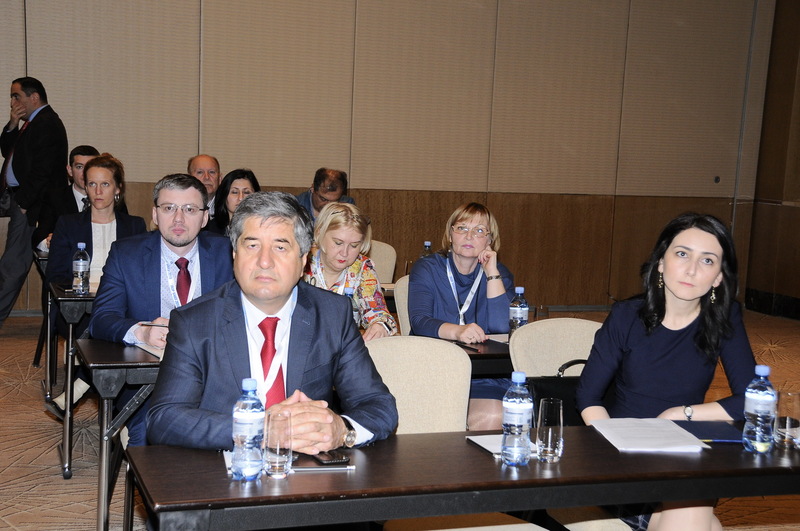 The International Association of University Presidents (IAUP) is an international organization of university chief executives from higher education institutions around the world. 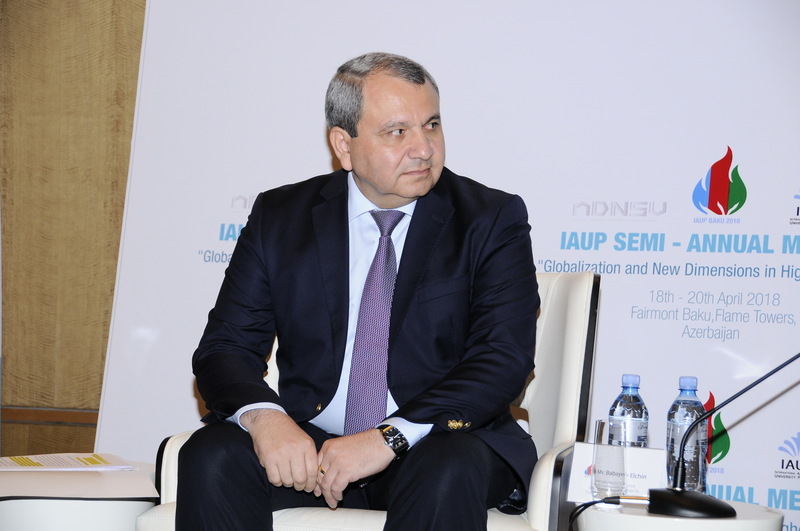 IAUP was founded in 1965. 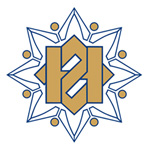 Membership is limited to those individuals who serve as presidents, rectors or vice-chancellors at regionally accredited colleges or universities. 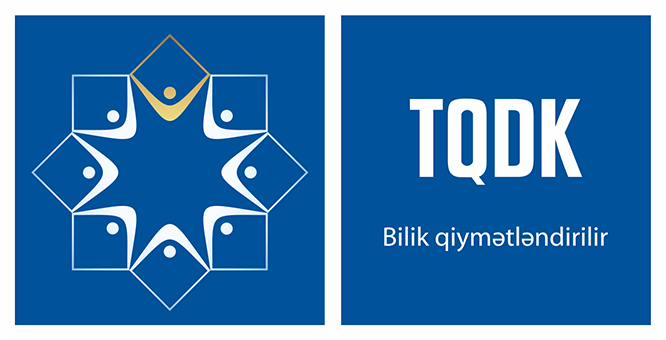 It is a non-governmental organization holding consultation rights at the United Nations Economic and Social Council (ECOSOC).